Take the Next Step of Your Yoga Journey! 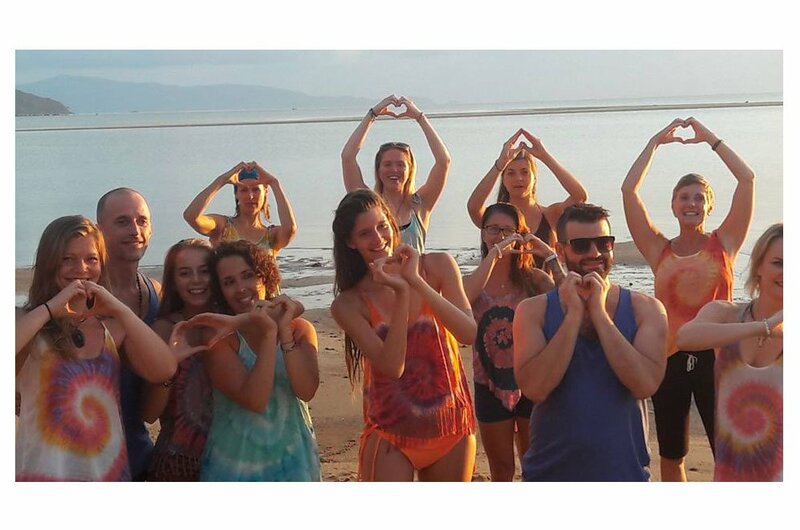 Ananda Pure Yoga 200 hour yoga teacher training at Ananda Yoga & Detox Center is the next step on your yoga path. This certification is recognized by Yoga Alliance. 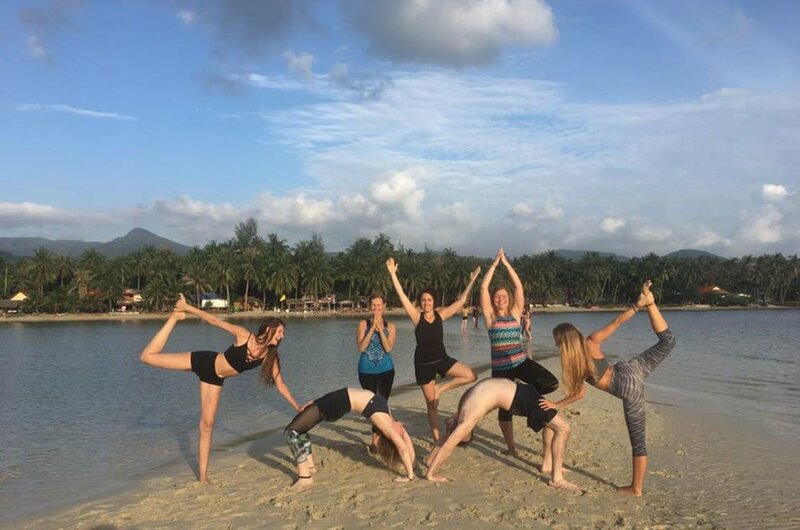 In the tranquil and beautiful setting of Koh Phangan, Thailand, your transformation awaits. 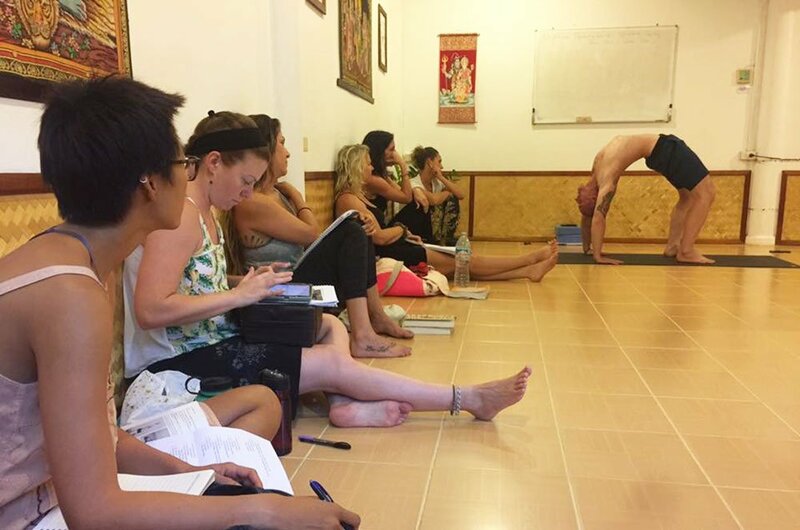 Our Alignment based Hatha and Vinyasa Yoga Teacher Certification will allow you to teach globally. 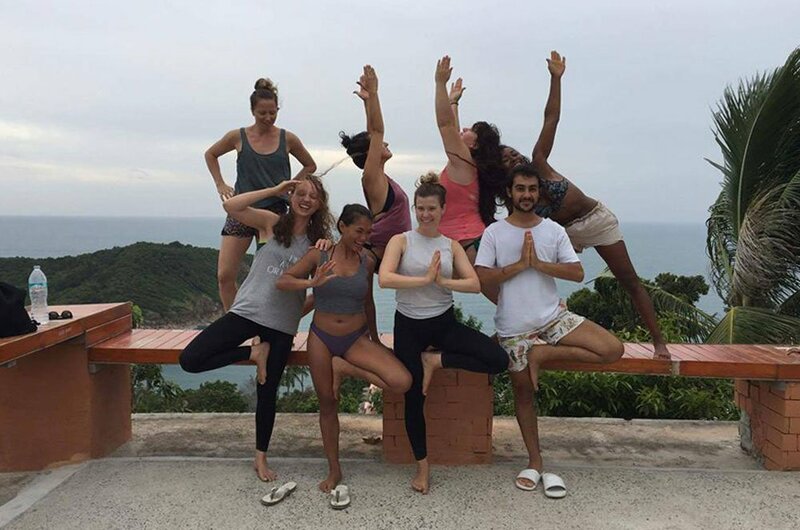 Under the professional guidance of our experienced international instructors, you will learn the theory and practice of yoga, the art of teaching, yoga philosophy, and much more! 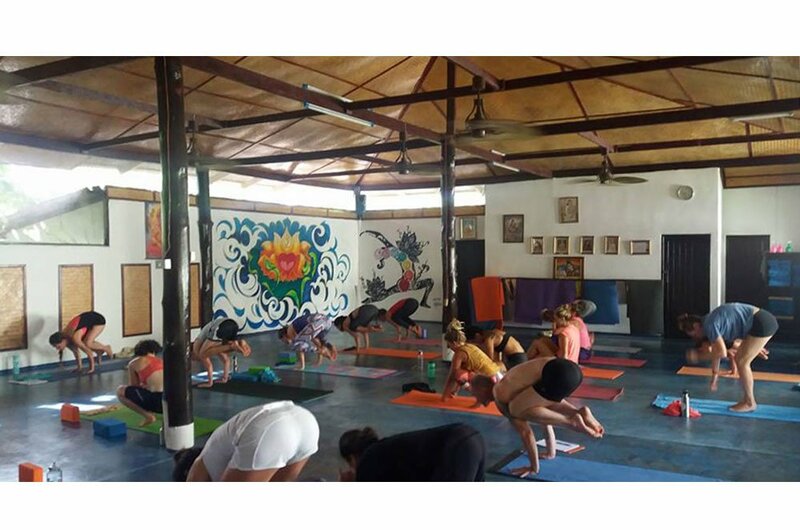 This program excels at providing you the skills that you’ll need to teach yoga classes and private instruction. You’ll begin to develop these skills from the first day of training, and this knowledge will sink into every aspect of your practice. Trainees may register with Yoga Alliance at its RYT-200 level upon successful completion of this training. 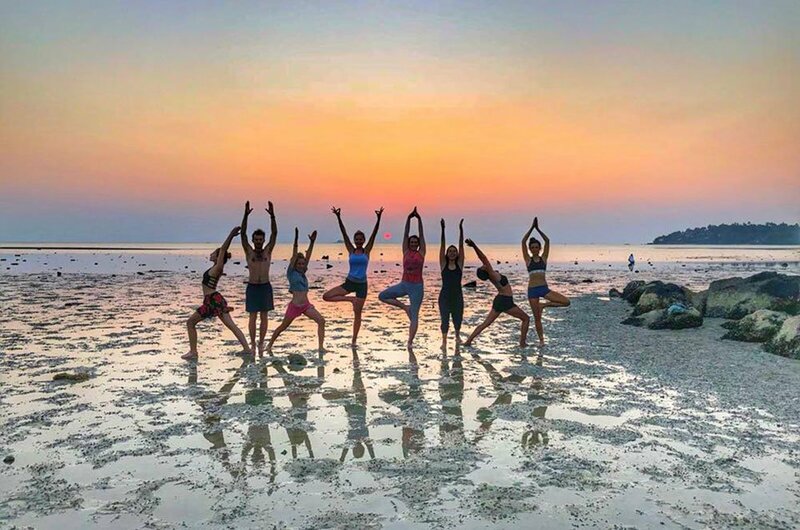 We ensure the quality of our yoga teacher training program by providing personalized guidance with the lead teacher to a small group of students. 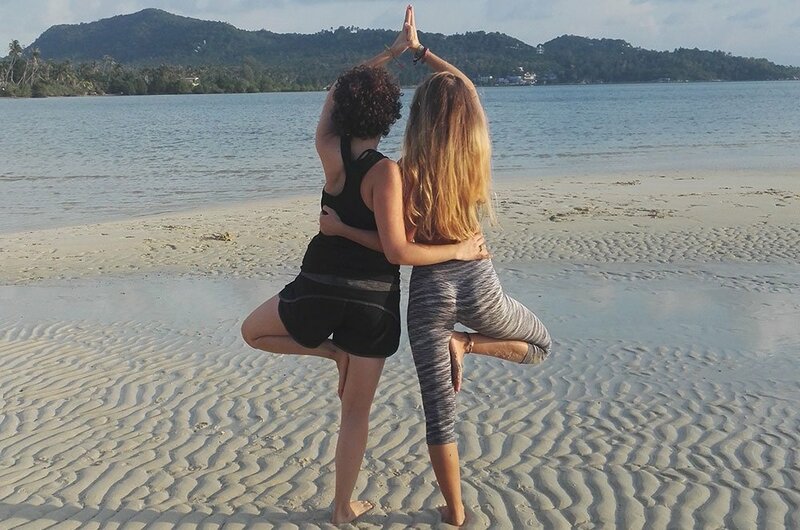 This yoga teacher training is a 28 day immersion, and includes 28 nights of accommodation & 3 vegetarian meals per day. 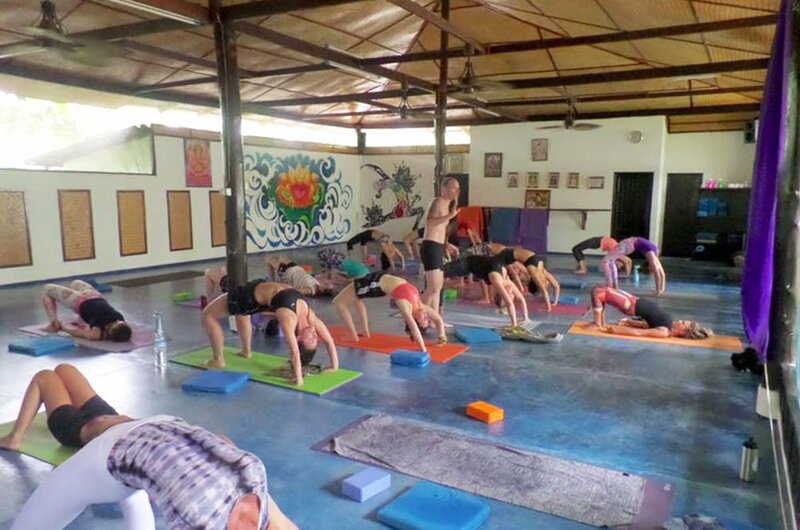 In this training, you will develop the skills to teach yoga to others. You will study the form and function of asana (yoga poses), the foundations of pranayama (breath work), and the basics of meditation. Plus, yoga theory & practice, yoga history & philosophy, basic Sanskrit, and yoga teacher ethics & boundaries. 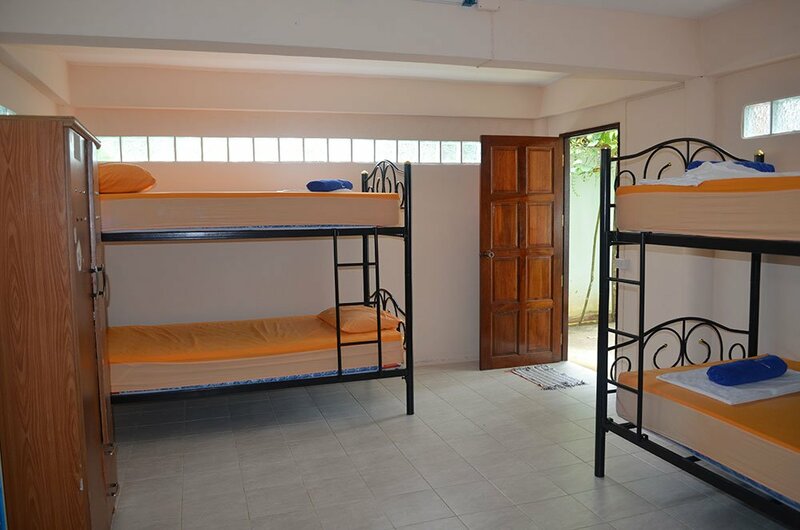 SHARED ROOMS, are available only to 2 students. If you are arriving alone, indicate in the comment section of your application to place you on the shared room waitlist. 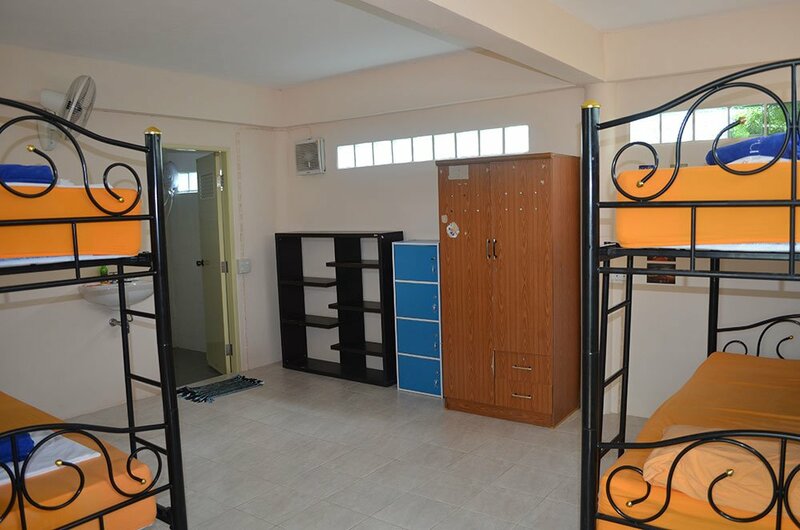 If another student wants to share a room, we will notify you that a Shared Room is available. 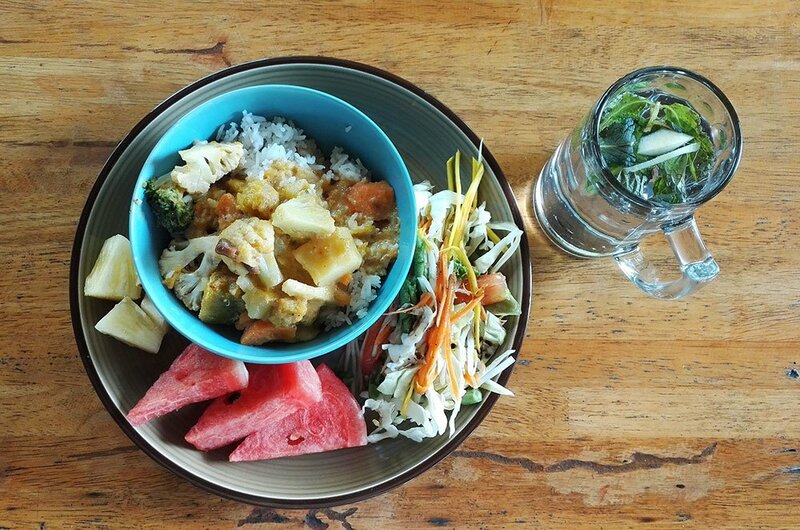 All rates with or without accommodation include 3 healthy vegetarian yogi meals per day plus herbal tea. Secure your place in an upcoming training. Balance due upon arrival. 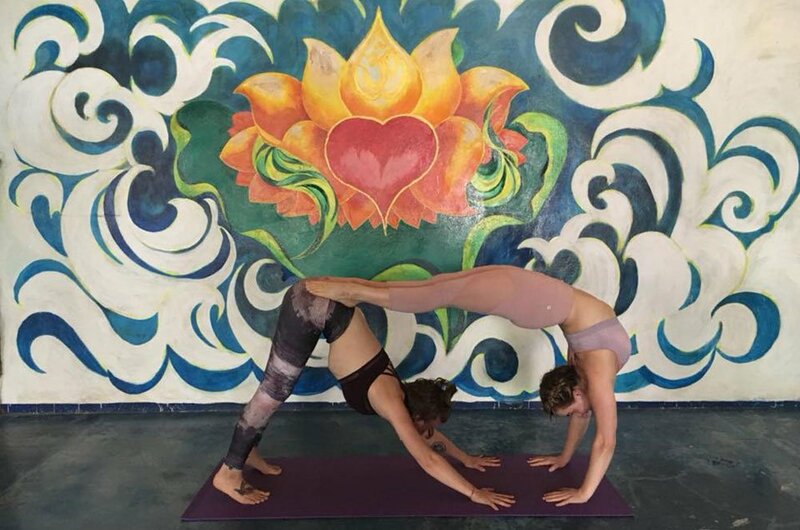 Receive $300 off the cost above when we receive your deposit at least 30 days prior to the start of your yoga teacher training. The beautiful tropical island of Koh Phangan, Thailand. 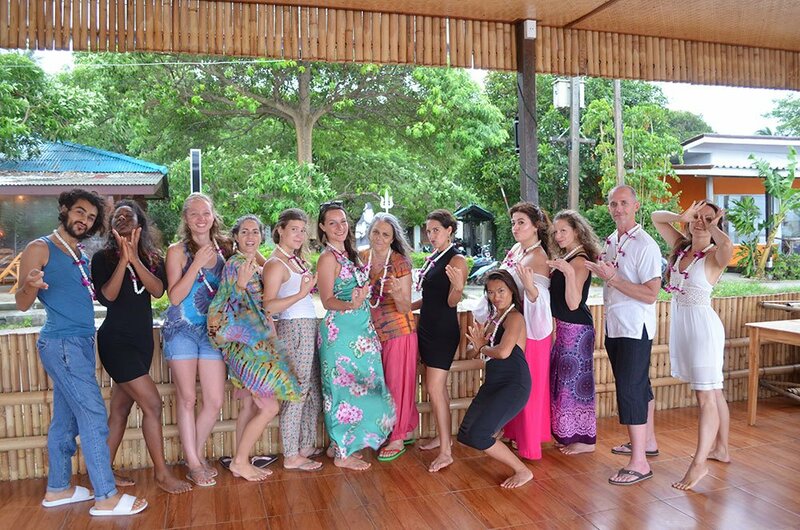 Receive your yoga teacher training in stress free paradise! 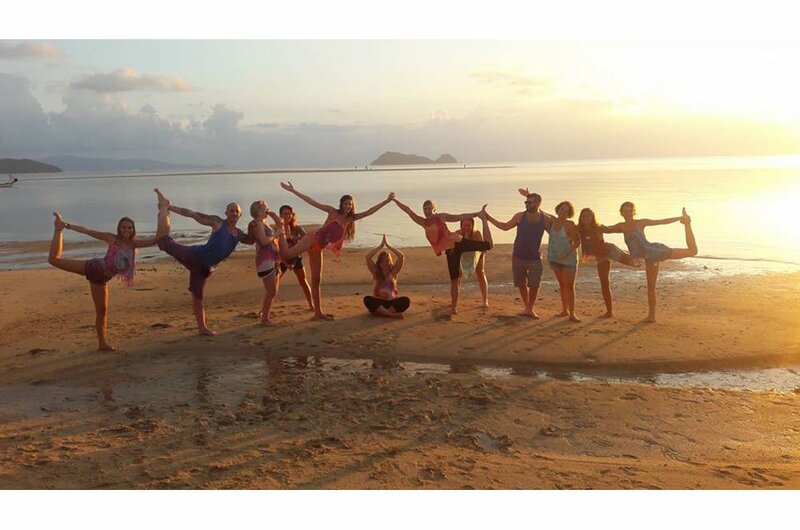 Ananda Yoga & Detox Center is located along Hin Kong beach, with a stunning view over the Gulf of Thailand. 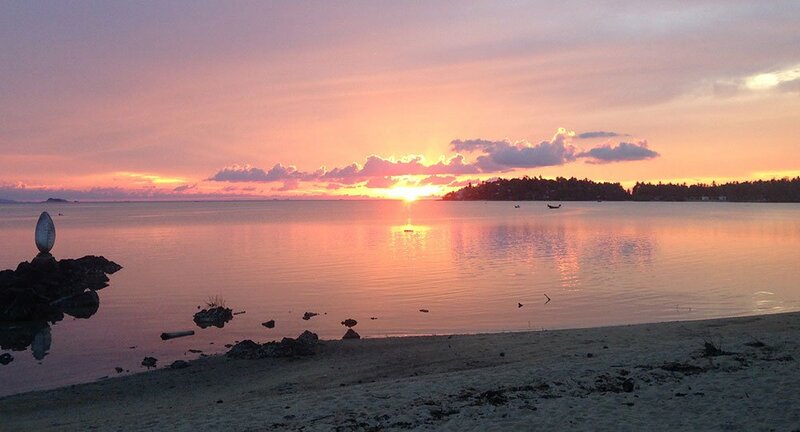 People come from all over the island every evening to enjoy the beautiful sunsets. 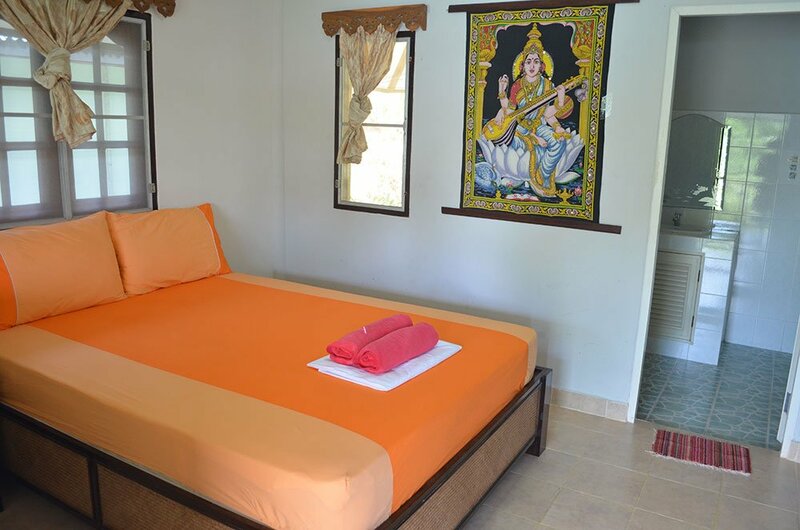 Our facilities are clean, cared for with love, and very serene and peaceful. 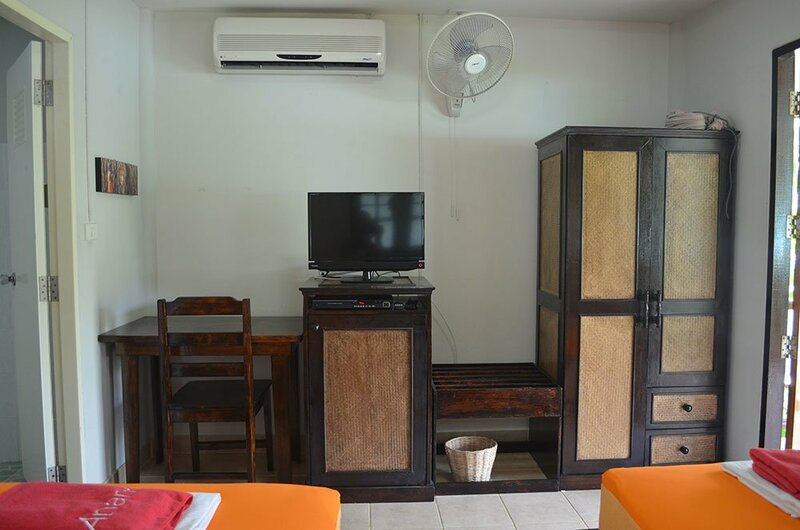 All rooms come with both fan and air condition. 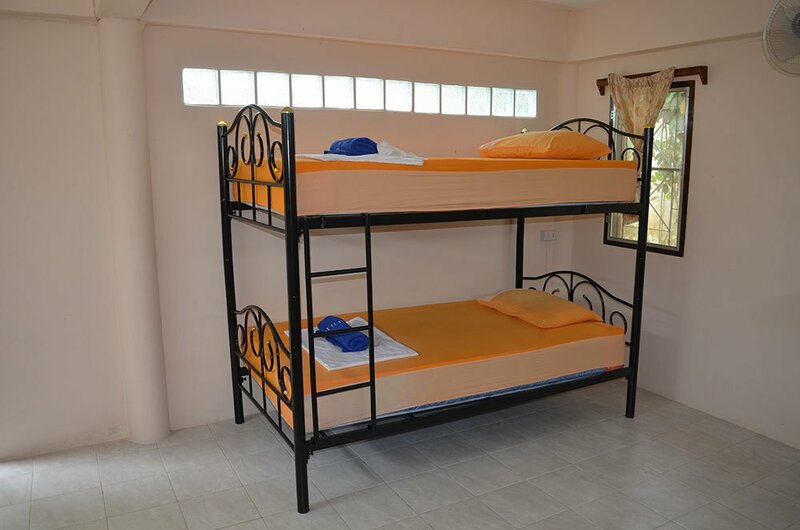 We offer several room types for your comfort level and budget. Most Western countries can receive a 30 day visa exemption when you arrive to the Kingdom of Thailand by air. We strongly recommend that you check with your own country’s embassy or consulate to verify your exact requirements. 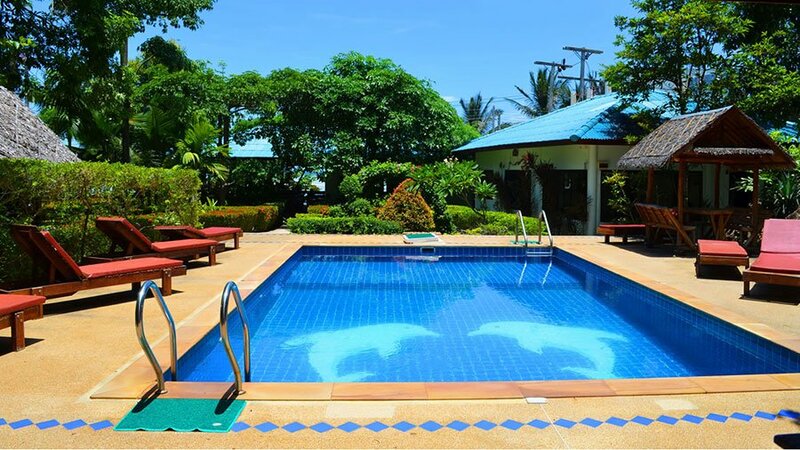 The 30 day visa exemption can typically be extended for an additional 30 days with a quick visit to the immigration office on Koh Samui. Due to the length of this training, a 60 day tourist visa might be your best option to place your mind at ease, and not worry about the extension at an immigration office. The CDC and WHO recommend the following vaccines for Thailand: typhoid, hepatitis A, hepatitis B, cholera, rabies, Japanese encephalitis, and influenza. However, none of these vaccines are required. 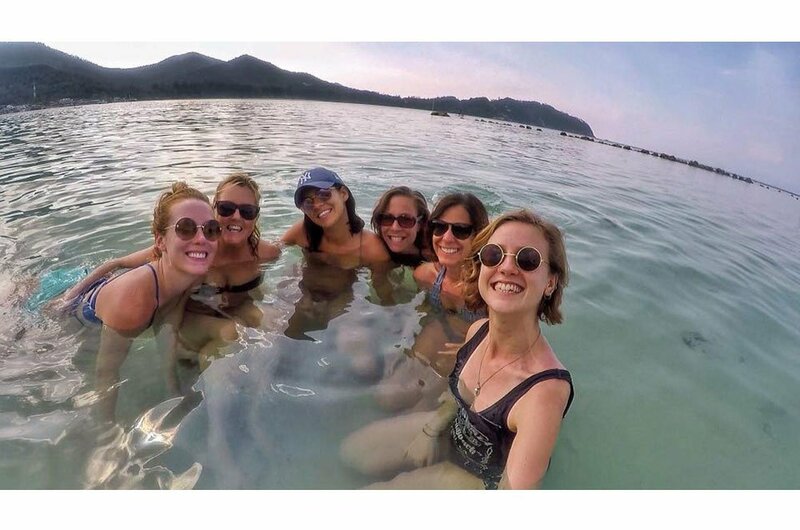 The risk for Zika virus on Koh Phangan is moderate. Reports of malaria are rare. Cash in the form of Thai Baht is the most convenient form of currency in Thailand. ATMs are easily accessible in most areas, and allow you to withdraw money with a Visa enabled debit or credit card. We do accept Visa and Mastercard at the resort. You can pay your balance with credit card (+3% fee), PayPal (+5% fee), or Thai Baht. 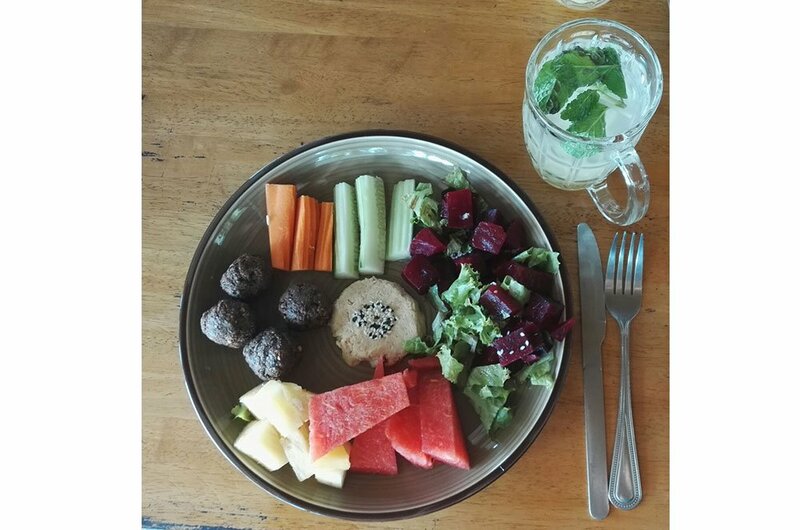 Included in your yoga teacher training are 3 vegetarian meals per day for the 28 days of the training, in our restaurant. 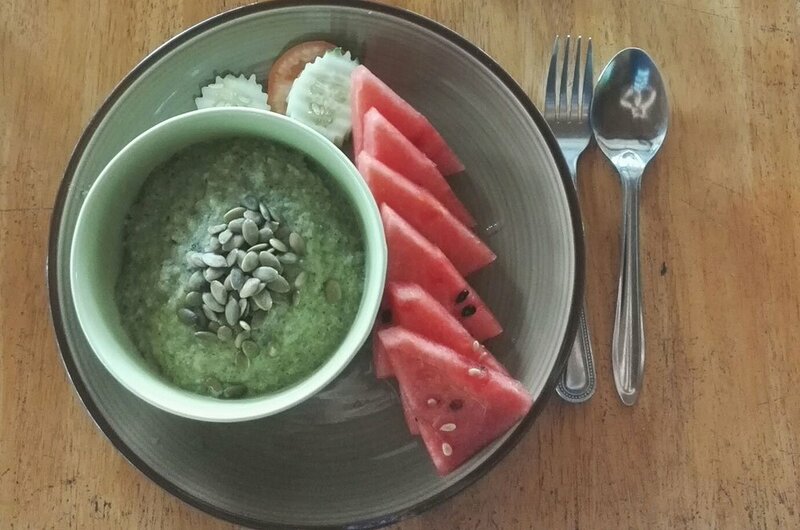 Available for purchase through our restaurant are our full range of menu items including: shakes, juices, coconuts, and vegan desserts. 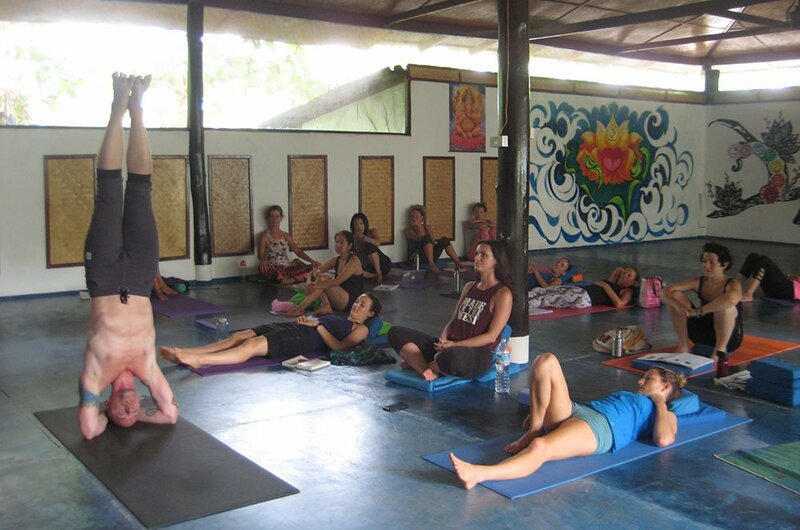 Ananda’s main Yoga Studio is 15m x 10m (150m2 of clear space), making it one of the biggest in Thailand. 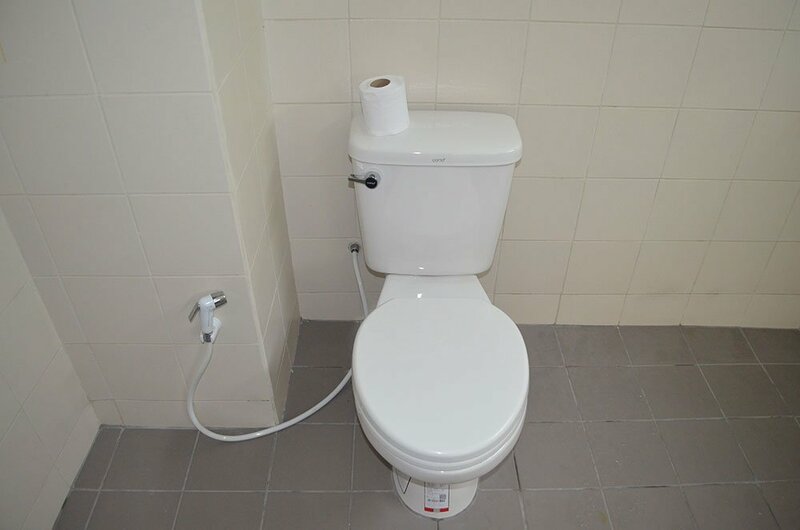 It is fully equipped with mats and props. Two walls are mesh, and open to the outside air so that we feel included with the island while we practice. We have a smaller air conditioned class room for philosophy and theory discussions, and small group work. 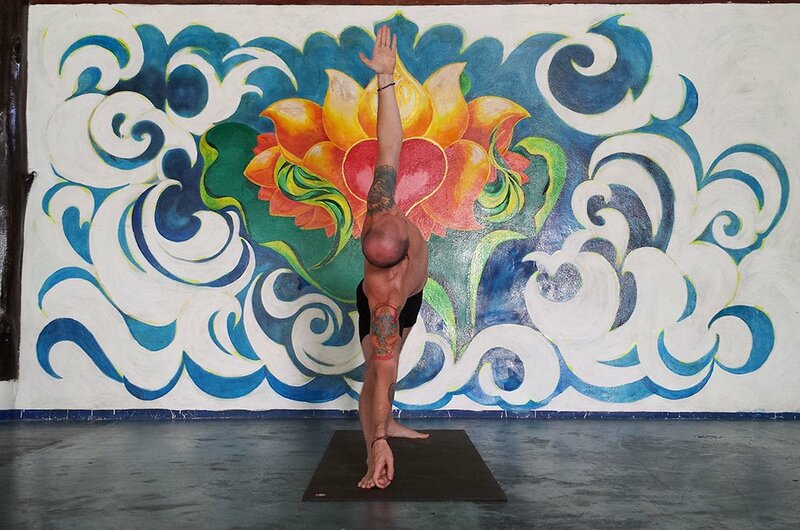 Born in the United States, Johnny Nasello is an e-500 hour Registered Yoga Teacher & Personal Trainer. 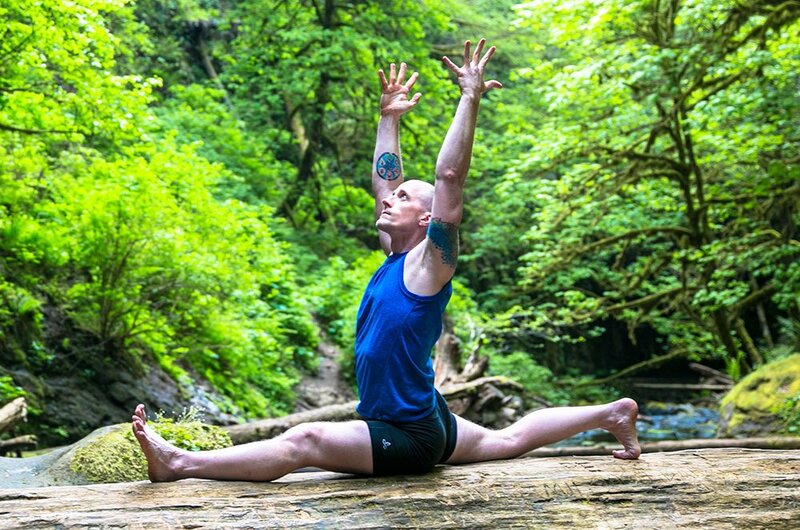 He specializes in alignment based yoga, and has a vast experience working with different body types, abilities, and ranges of motion. He is known for precise instruction queues, and relating larger concepts of yoga with practical inner guidance. 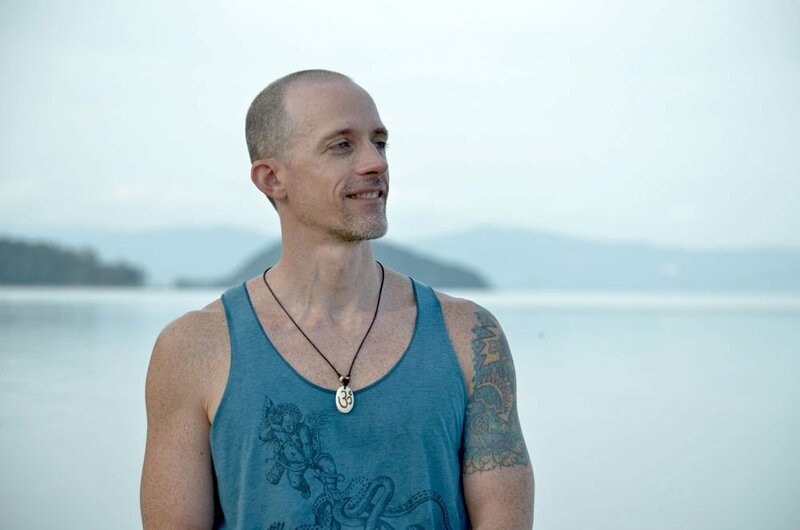 Johnny has studied mostly with master yoga teacher trainer, Noah Mazé, but has also studied and workshopped with many great teachers. 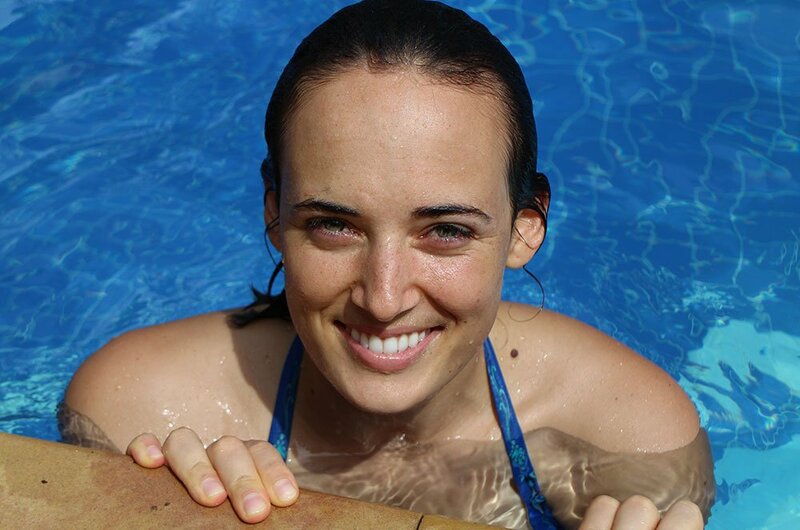 Melissa was born in Southern California and is a 200 hour Registered Yoga Teacher. 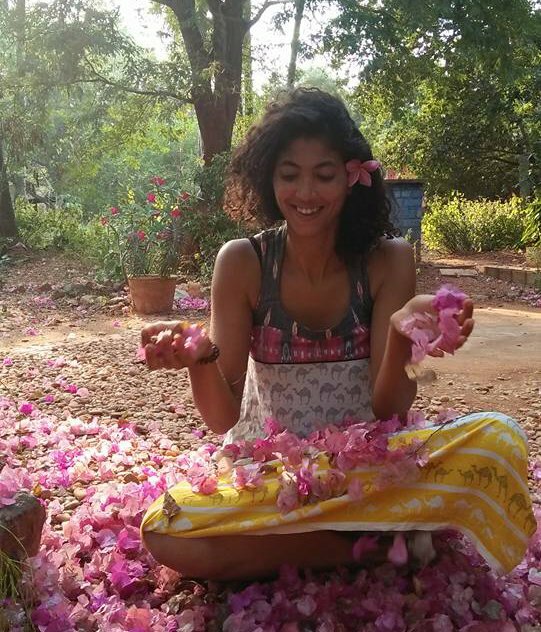 She is trained in Ashtanga Vinyasa, Hatha Alignment and Reiki Healing. 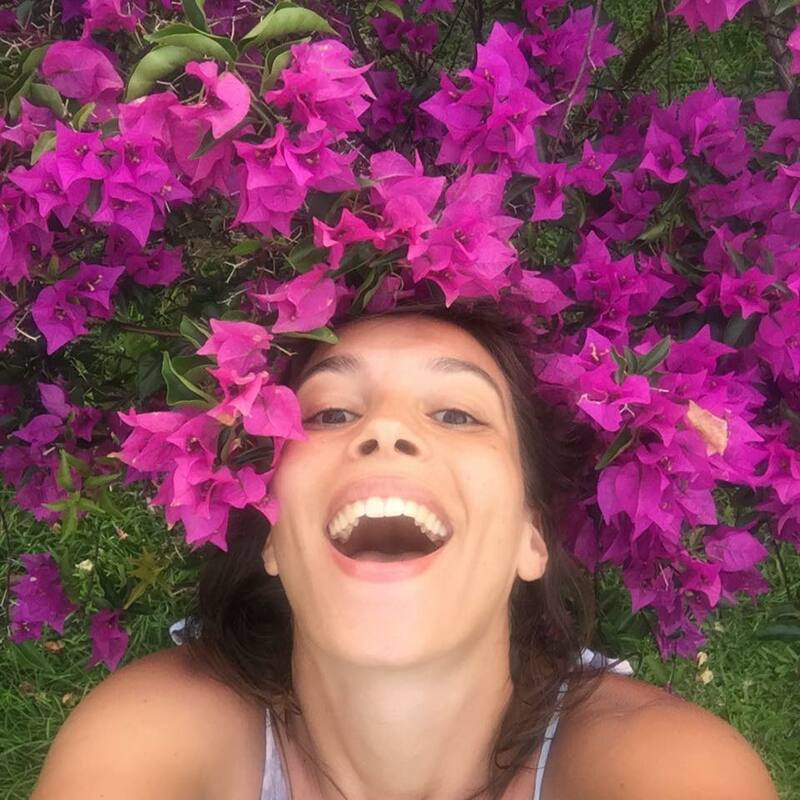 Melissa enjoys guiding Yin Yoga classes, Yoga Nidra, meditation and sharing the softer side of the practice with her students. 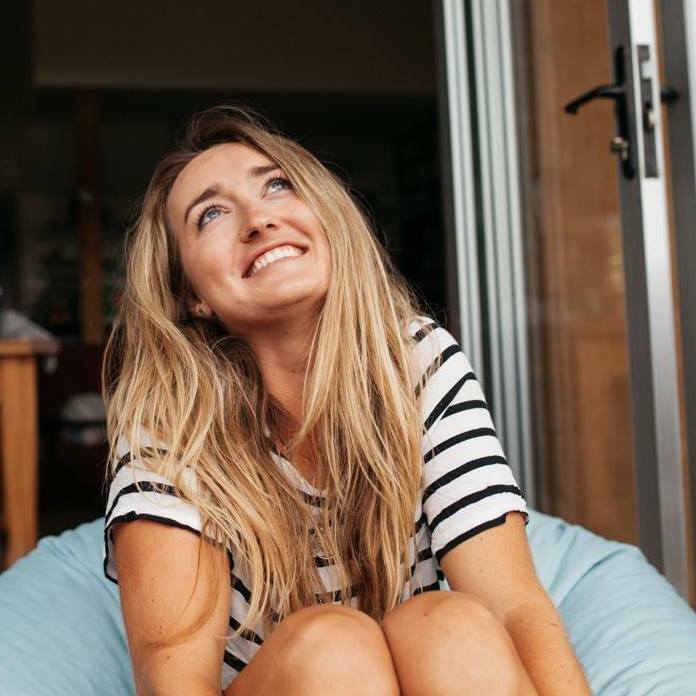 Ali is a 200 Hour Registered Yoga Teacher who has studied extensively in various healing modalities and meditations both in United States and Thailand, including Mindfulness Meditation, Taoist Healing Meditation & Practices, and Isha Meditations. 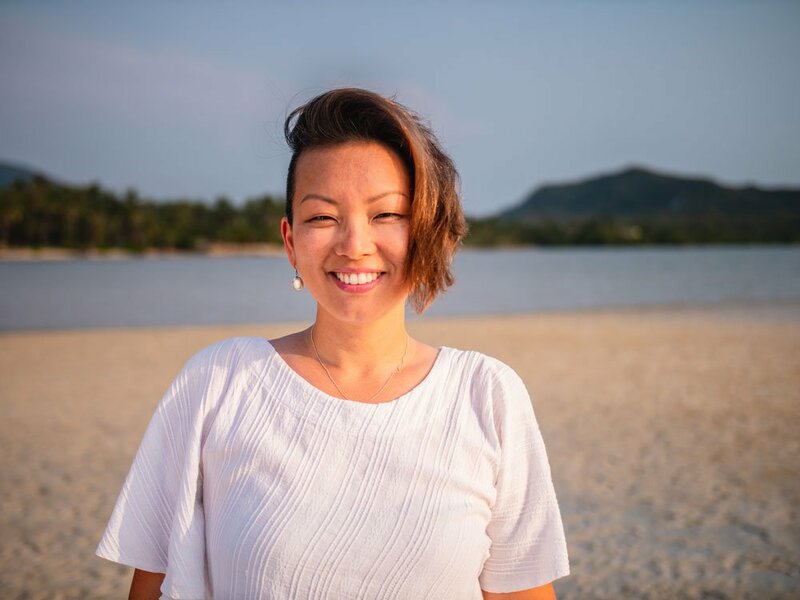 She practices: Chi Nei Tsang (Taoist Abdominal Detox Massage), Cupping (Ancient Chinese Healing Therapy), Reiki (Japanese Energy Healing), and Tok Sen (Traditional Thai Healing Therapy). She believes in living life firmly rooted in reality and clarity while embracing each moment and each encounter with presence, gratitude, abundant love, and compassion. Evangelis has been a yoga practitioner and teacher for many years. He is always furthering his knowledge about body purification methods to offer best the services to the people who are seeking well-being and happiness. 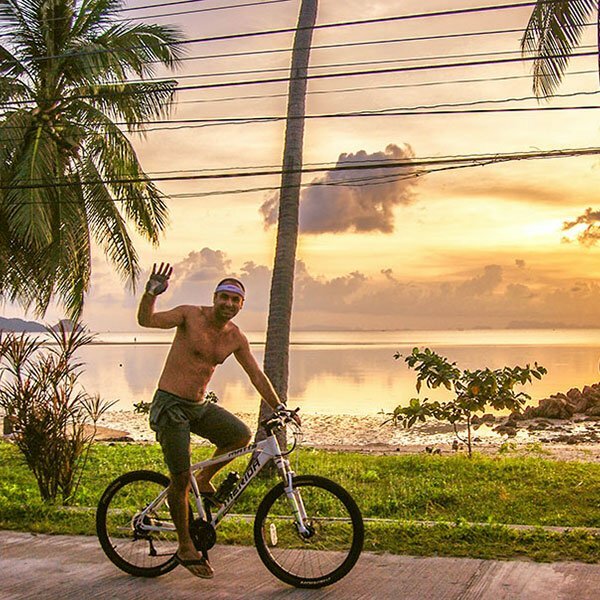 Evangelos enjoys living in Koh Phangan and is always around to offer his support and guidance. He can often be seen swimming, kayaking, bicycling or simply meditating at sunset. 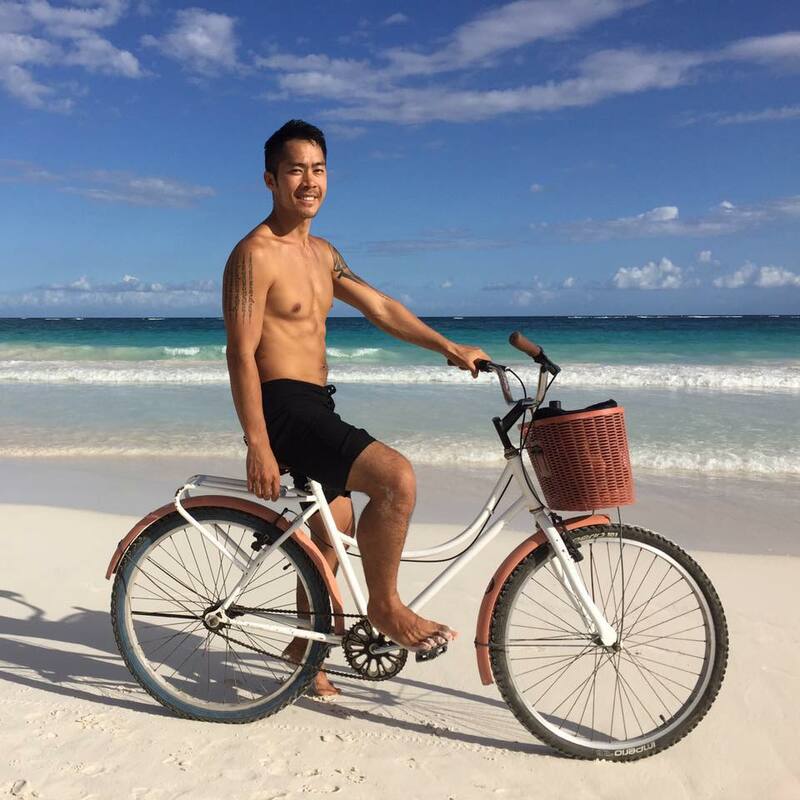 He especially enjoys meeting like-minded people to discuss yoga, detox, and travel. 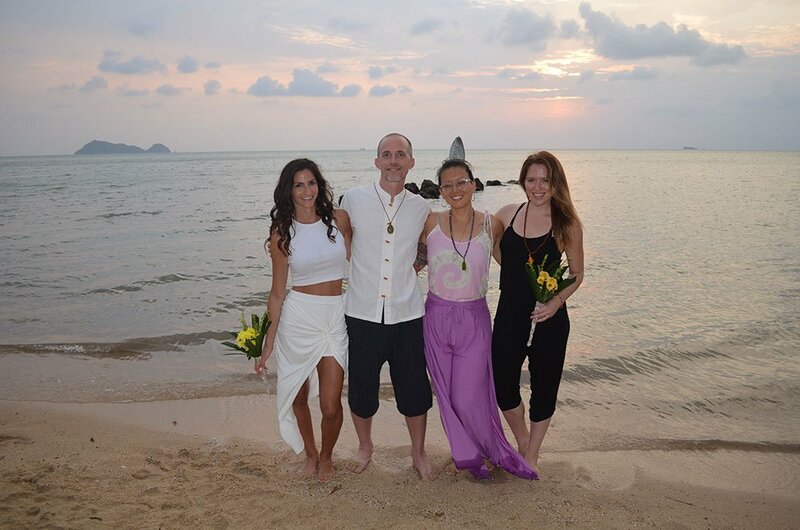 Johnny and Melissa are often assisted by other former graduates of this Ananda Pure Yoga 200 Hour Yoga Teacher Certification Program. How do I secure my spot and early bird rate? A non-refundable deposit of $650 (≈22,000 Baht) is required to secure your spot. The early bird rate is secured if your deposit is received at least 30 days prior to your program start date. Will my accommodation be close to the yoga hall? Yes! 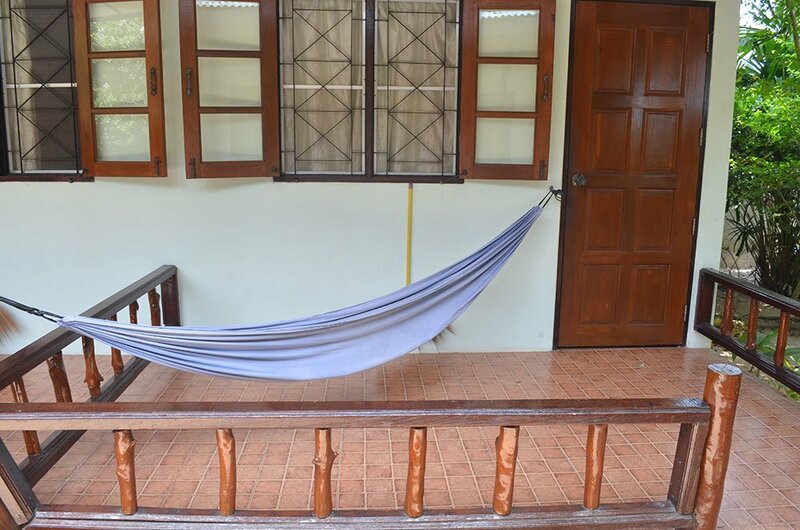 You will be staying only 20-30 meters from our yoga hall. 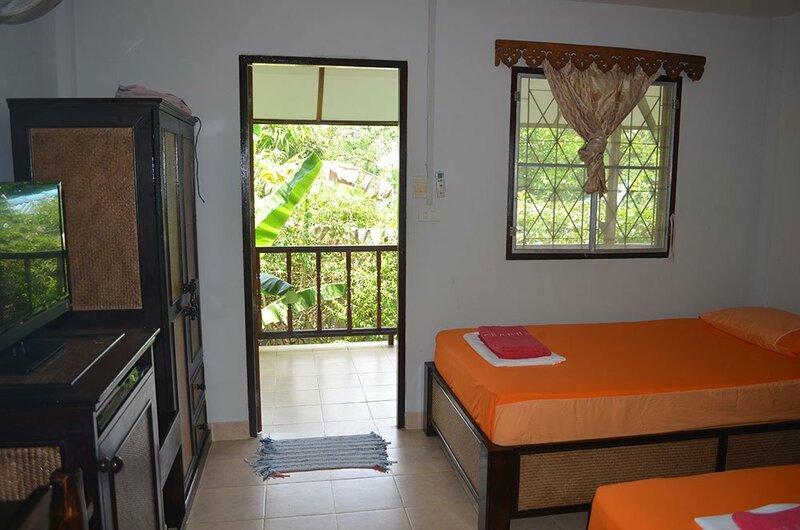 You will never have to worry about transportation, renting motorbikes or bicycles, walking through the rain to get to yoga, suspicious dogs in your path, or any of the other inconveniences that come with off-site accommodation. All of the meals are included? Yes! 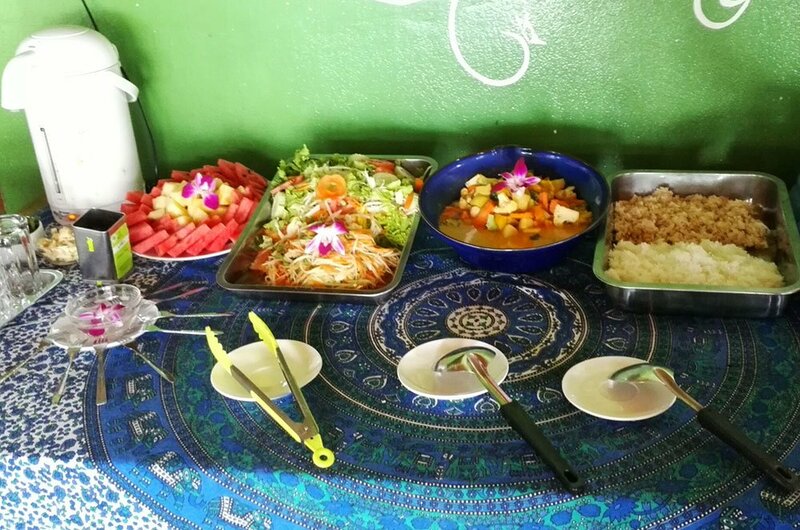 We will provide a delicious vegetarian breakfast, lunch, and dinner buffet for every day of the training, including your days off. This is INCLUDED in your tuition; there is no extra charge. It can be very time consuming to look for places to eat, and inconvenient to travel back and forth. We want our students to focus on their training with no worries! Do we have any days off? Yes, you have Sundays off! 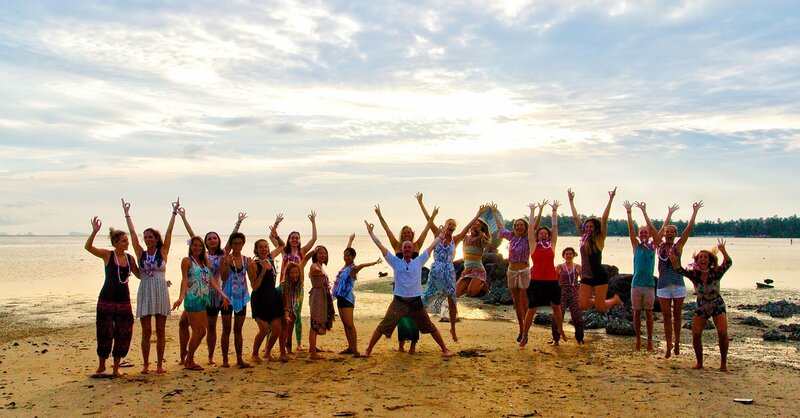 Go to the beach, plan a diving trip, go snorkeling, explore a temple, hike through the jungle. It’s your day to adventure or relax. How long are we in session on other days? Plan on being in training 8 to 10 hours each day. You will get breaks throughout the day to study, eat, and process. Do I need to have an advanced yoga practice before joining? No. We prefer a year of consistent yoga practice, but we are happy to introduce you to yoga. 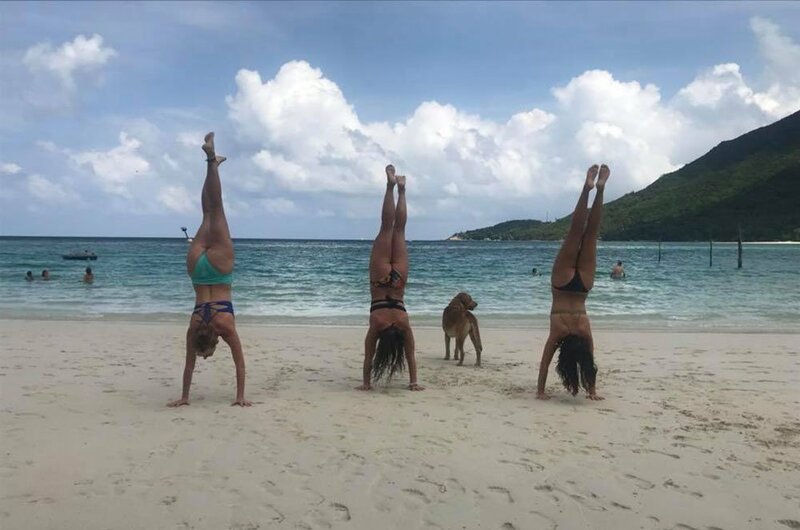 There is no need to know advanced poses such as headstand, handstand or other arm balances and inversions. It does not matter if you are not flexible. 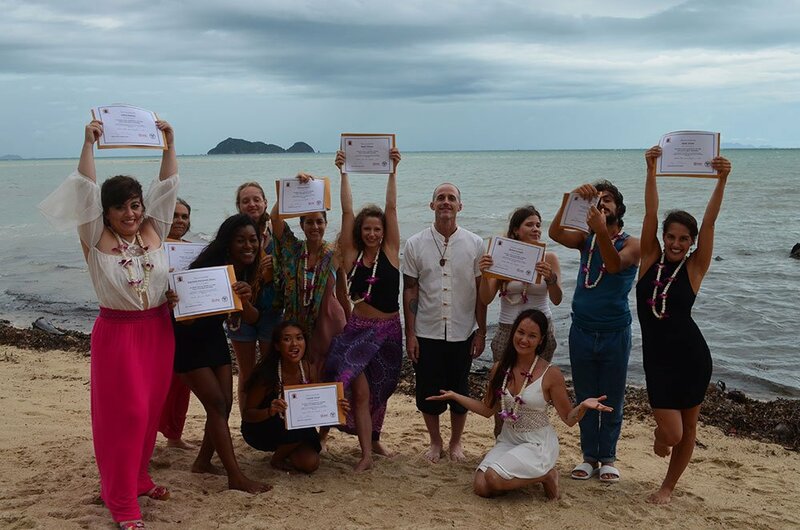 Will I be able to teach yoga anywhere in the world after I complete the certification? 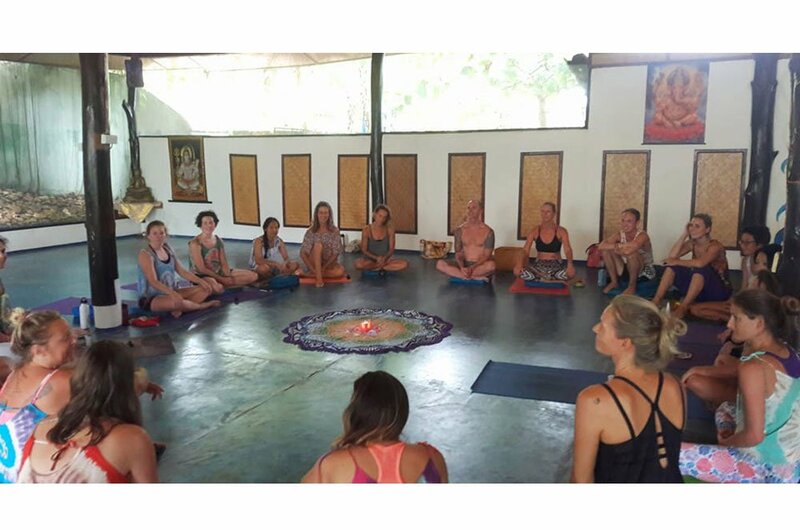 After you complete the yoga teachers training course, you will be certified to register with Yoga Alliance as a 200 hour Registered Yoga Teacher. 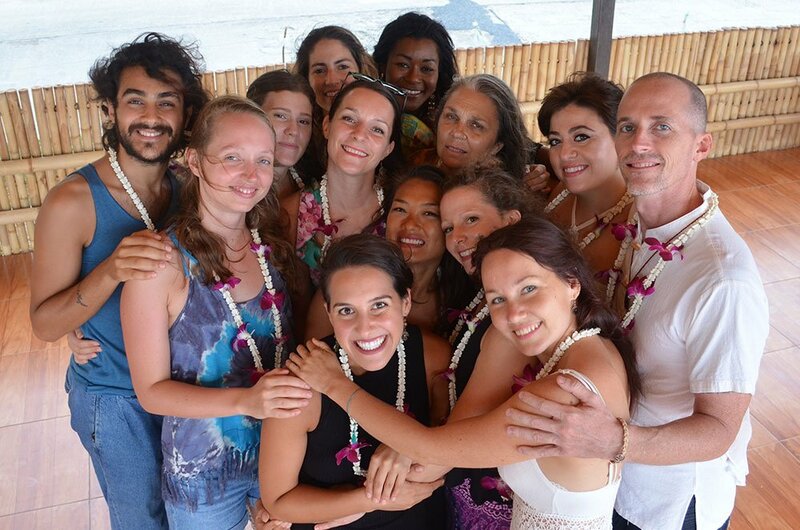 Yoga Alliance is the most respected and largest organization of certified yoga teachers in the world. 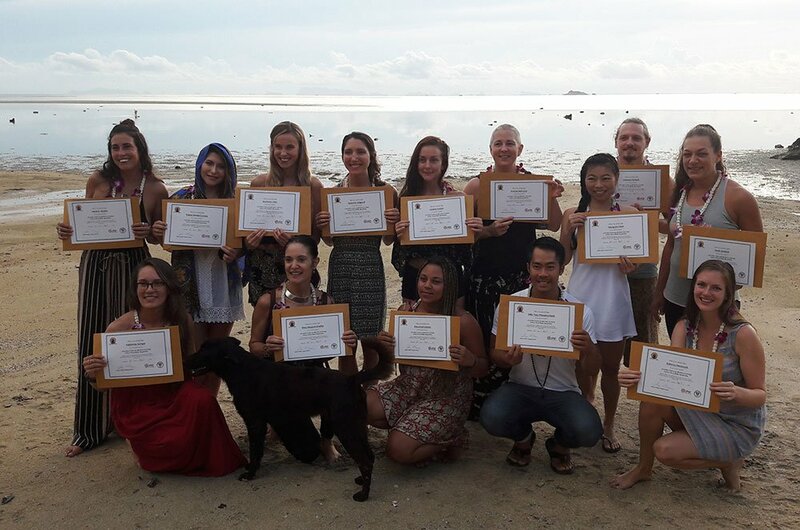 Our graduates can, and DO teach all over the world! Our yoga hall has mats, blocks, straps, and pads. It’s not necessary to bring your own, as traveling with a yoga mat can be cumbersome, but sometimes the comfort of “our” mat is nice. We also have mats for sale in our yoga shop, should you wish to purchase one here. What if I paid for the course and cannot come? Do I get a refund? The Deposit is Non-Refundable – If a student opts to withdraw from the program at any point, the Deposit will not be refunded. 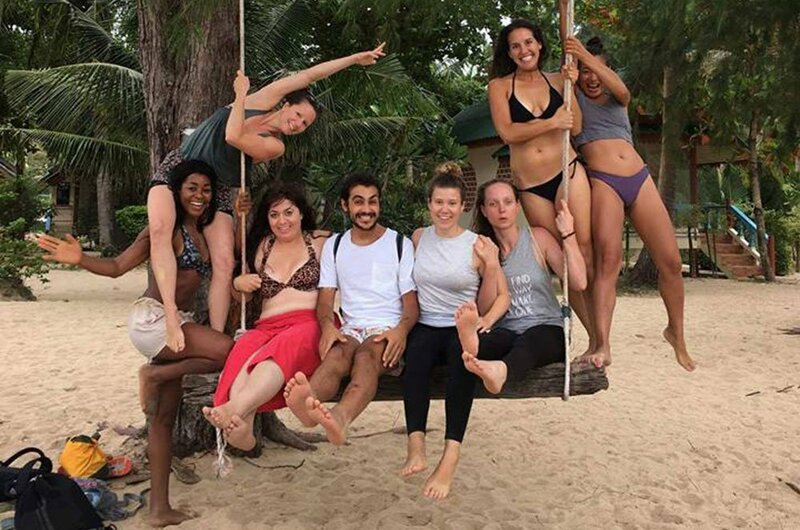 No refunds are offered within 30 days of the yoga teacher training program start date. An emailed request for refund must be received 31 days before the start date of the YTT program. Any refunds will be issued in the same format that they were received. You may transfer amounts paid towards future trainings. See our complete Yoga Refund Policies for all of the details. Trip cancellation and trip interruption insurance – This reimburses you non-refundable travel costs if your trip is cancelled or seriously delayed due to a natural disaster, or illness. Baggage and personal items coverage – If someone steals something from your bag or your luggage is lost or delayed, travel insurance will pay you for your trouble. Emergency medical insurance – Just as you wouldn’t want to go without medical insurance in everyday life, when you’re traveling abroad it’s important to stay covered in case of accidents. Johnny, was absolutely outstanding. Not only did he have clear, precise direction, but he also had a way of relating the yoga principles to everyday life, which I really liked. He was very patient, encouraging, and had a great positive energy about him. Just the best! 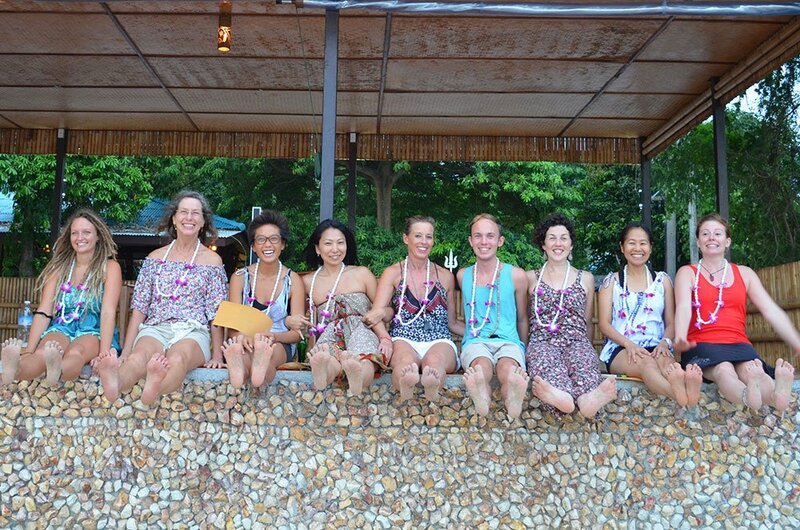 I recently completed an intensive month of Ananda’s Yoga Teacher Training. It was a life changing experience! 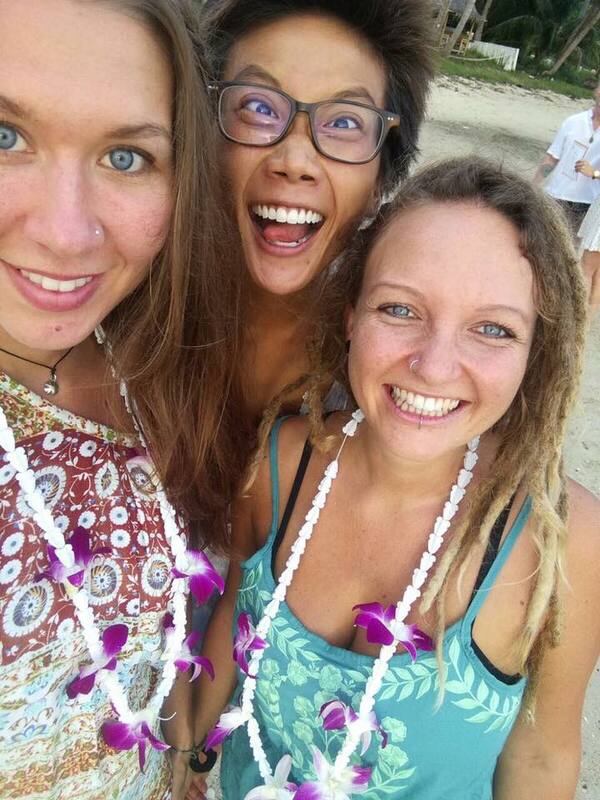 I learned a lot about yoga and life, spending a month with amazing people from all around the world. 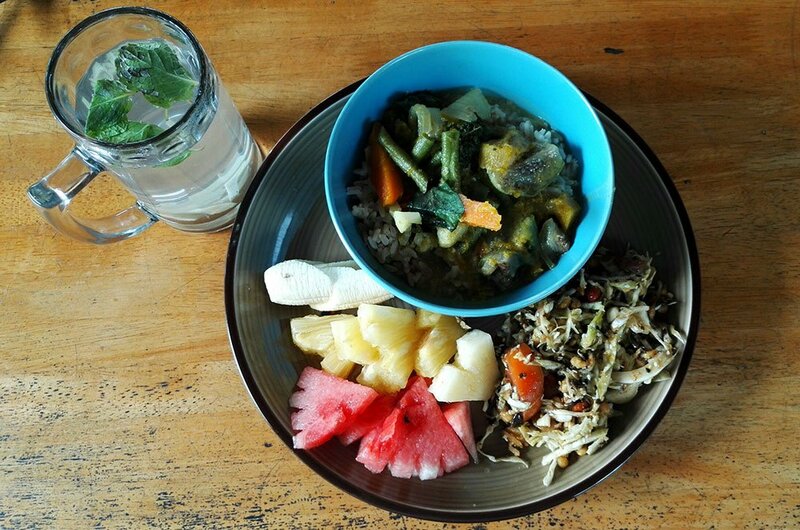 Unlike other YTT, Ananda provides all meals during the day (breakfast, lunch & dinner), which is very convenient and tasty, especially after intensive training and studying. 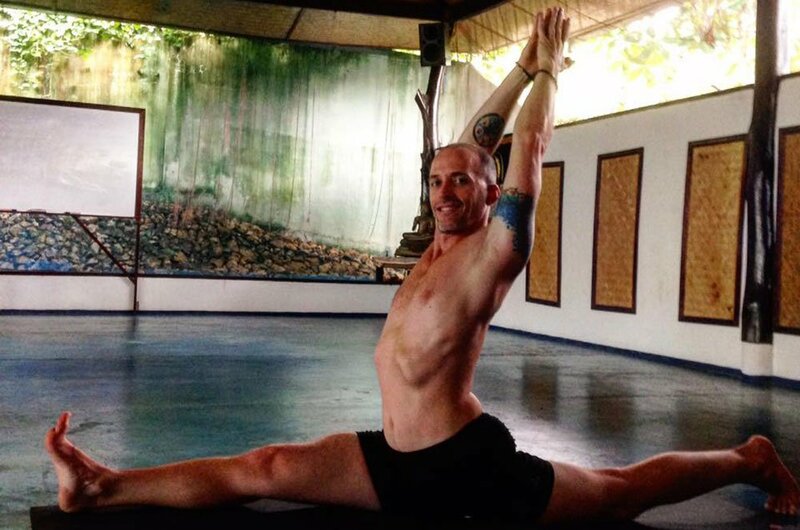 Johnny is the heart of the YTT, He is a very special person, a true yogi that really lives the principles of yoga, respect and sensitive to others, and of-course a VERY professional yoga teacher. If you are looking for a non-commercial, non-synthetic template YTT, but something professional AND with a personal touch, this is the place for you! 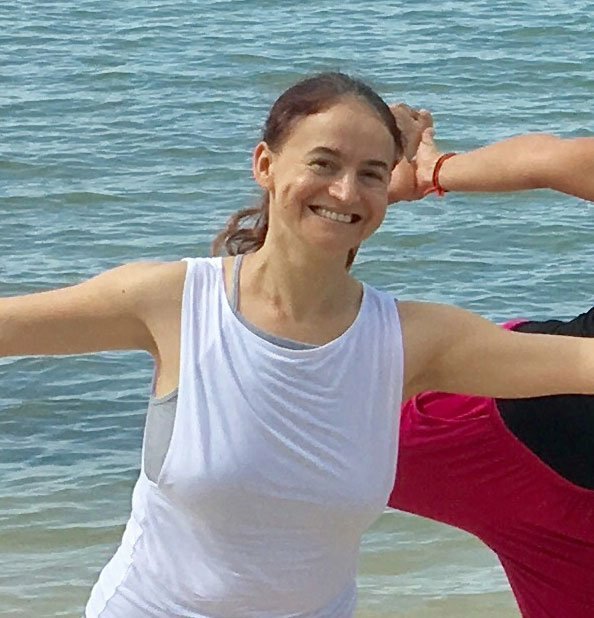 I did my Yoga Teacher Training at Ananda in may 2017. I had an amazing time! The room I stayed in was clean & comfortable, the salt water swimming pool & herbal steam sauna so relaxing. I needed that from time to time, since the four weeks training really is intense. I considered everybody working at the resort to be extremely lovely! Johnny Nasello is the main teacher for the training. If you’re looking for somebody who can teach you everything about alignment, he’s your guy. We thoroughly went through a lot of poses and their adjustments. Of course, since it is a teacher training, we also spent a great deal of time on practicing how to teach. At first it felt really out of your comfort zone, but as the weeks progressed it was getting better and better. Now that my time at Ananda is over, I can honestly say that I feel capable, prepared and comfortable teaching a yoga class. In my opinion this training is all about, and honestly: “Great things never came from comfort zones”. 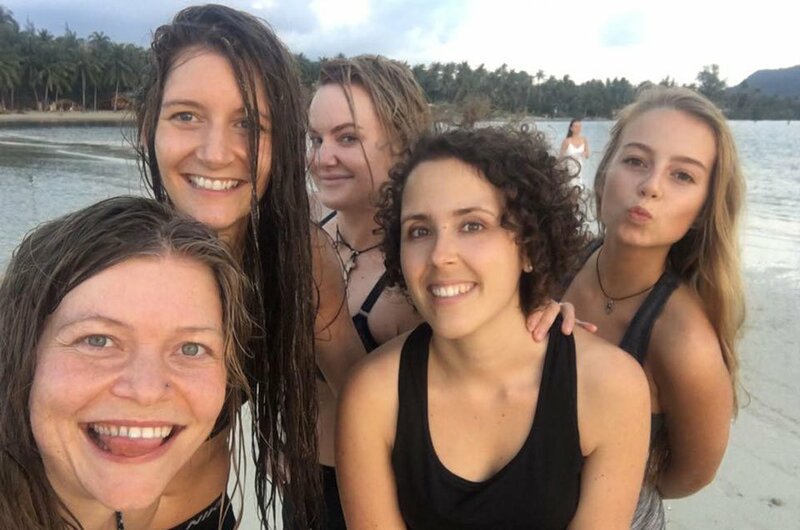 We were a group of 18 people (me being the only male student, which didn’t bother me at all btw), and we had so much fun! They all are so special! I made memories here that I will cherish forever. I wish Ananda Yoga & Detox Center and everybody who works there all the luck in the world! I met Johnny back in May 2016 during a short visit to the island of Koh Phangan. 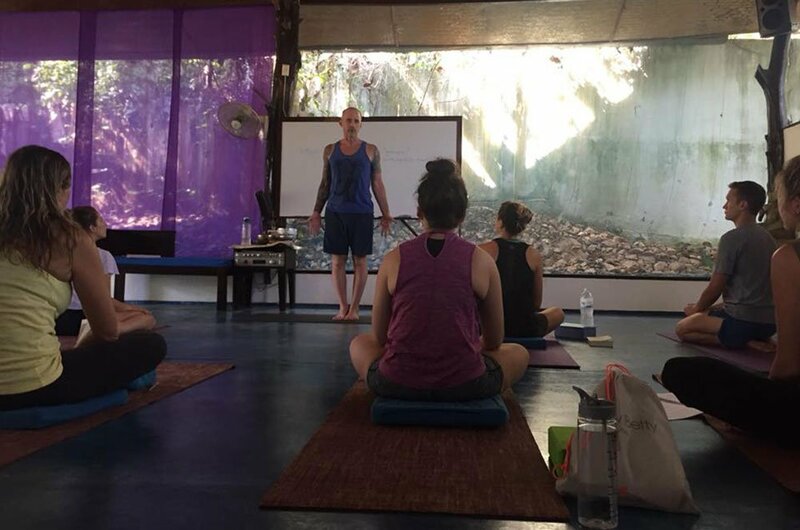 I experienced one of the best yoga classes I have ever had with Johnny and secondly I was kindly invited to join in the lesson Johnny was giving to my friend on teaching, cueing and sequencing methods. The idea of doing my yoga teacher training at that point had been somewhat of a pipe dream. It wasn’t until I so thoroughly enjoyed Johnny’s incredible yoga classes and was able to experience a sample of his actual teaching strategy that I was certain I had to do my Yoga teacher training. The yoga TTC was down to earth, practical, professional and unprejudiced. 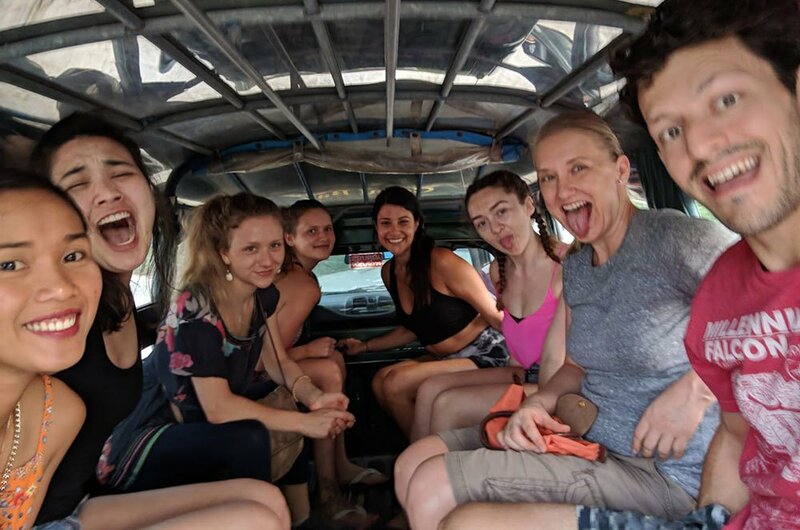 Johnny’s grounded, level-headed manner and perspective provided our group with the support and stability we needed during such an intense and life changing experience. The lessons we learned and subjects covered were practical and useful. 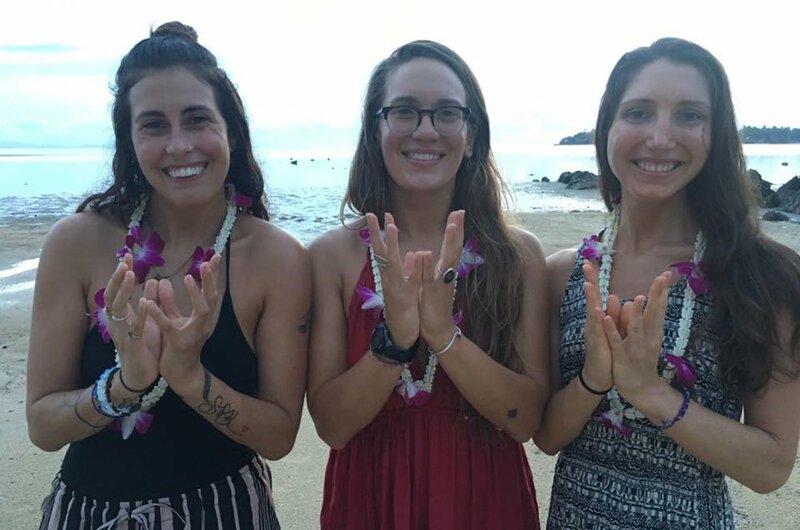 Though a lot of what we learned was transferrable to many aspects of life and personal growth, the core intention was always – to teach yoga and become yoga teachers. Johnny is professional and respectful always. The course is Alignment Hatha, Vinyasa focused. We also covered a number of other styles and I found it to be very unbiased, which I really appreciated. 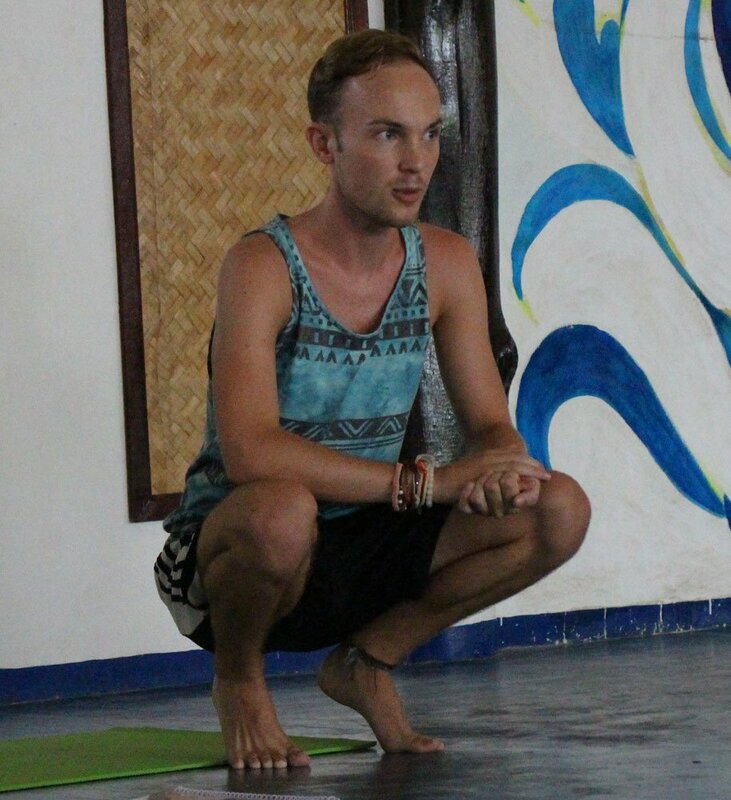 It is unlimited to one specific school of yoga and Johnny encourages learning in all aspects and styles of yoga. 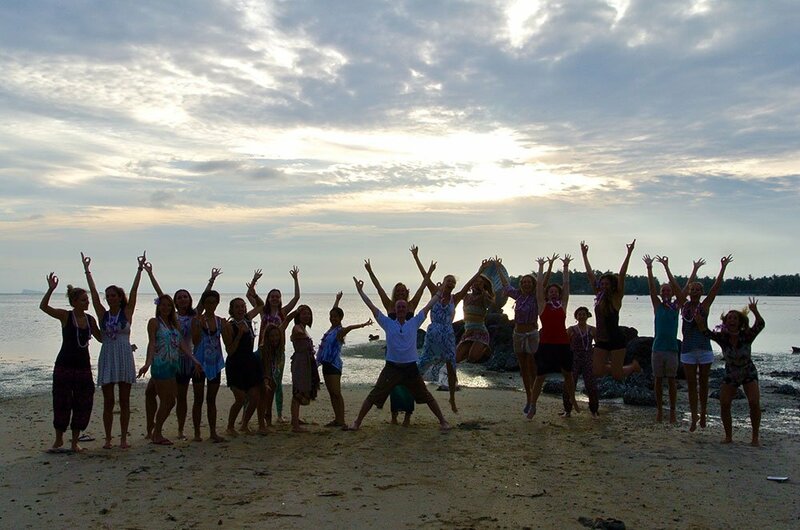 I encourage everyone who is considering yoga teacher training to take the jump! It is the greatest gift you will ever give yourself. I recently completed my 200hr YTT at Ananda. First and foremost, I’d like to thank and praise our teacher Johnny Nasello for a challenging and rewarding one month of practice. Not only is he down to earth, approachable and selfless with his sharing of knowledge, he is able to make yoga accessible to everyone. He teaches an alignment focused course, which means that you and your future students will be able to maximise each pose for their intended purpose. It really doesn’t matter where you are in your practice, only that you have one. 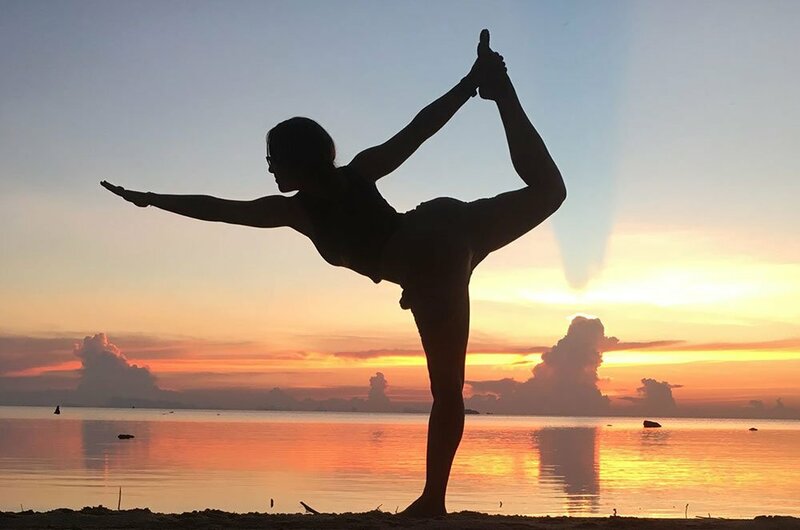 I came in thinking that I probably wasn’t strong or flexible enough to teach yoga, but with the knowledge of the right alignment and purpose of each pose you can still teach and practice effectively! Your practice will also develop no matter where your starting point is! Johnny reminds us that yoga is a never ending journey, and that even someone as advanced as himself is still refining and challenging his practice. He will help to add a new spice to your practice whether you’re a beginner or advanced. A quote that came up in our class from another student was “it’s not about touching your toes, but what you learn on the way down”, and Johnny exemplifies this. 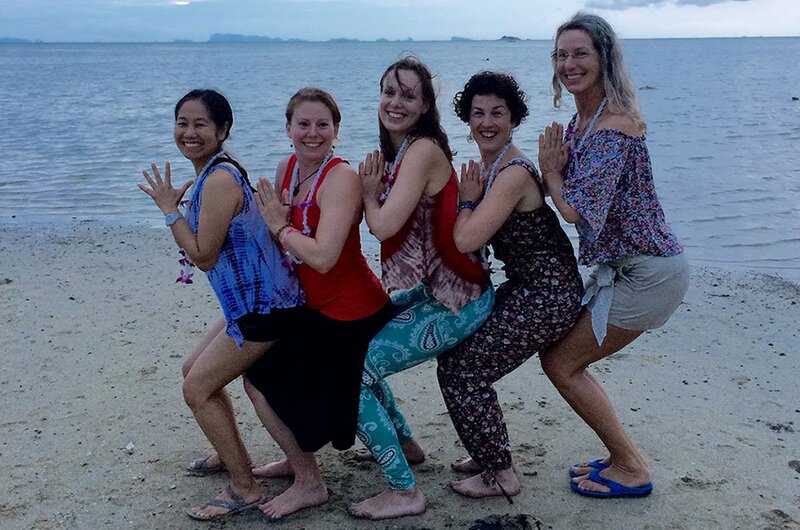 You will have A LOT of teaching practice and guaranteed to leave feeling confident to teach yoga to all levels. Johnny had two other assistant teachers Tonya and Jane who were invaluable to the course! The resort itself also adds so much positivity to the course. 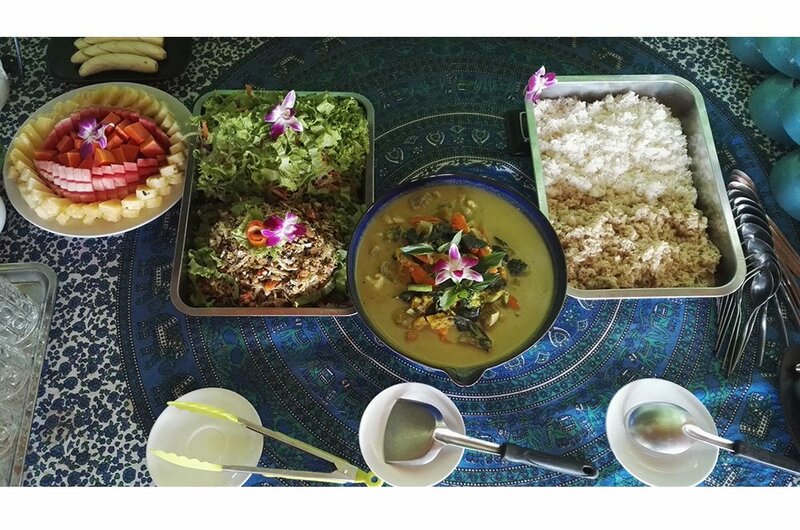 The food is fabulous, loads of fruit, tea, and vegetarian meals. The massaman curry is addictive. The staff are friendly and sure to make you feel at home! There’s a saltwater pool, perfect to relax in in between classes, or in the evening. 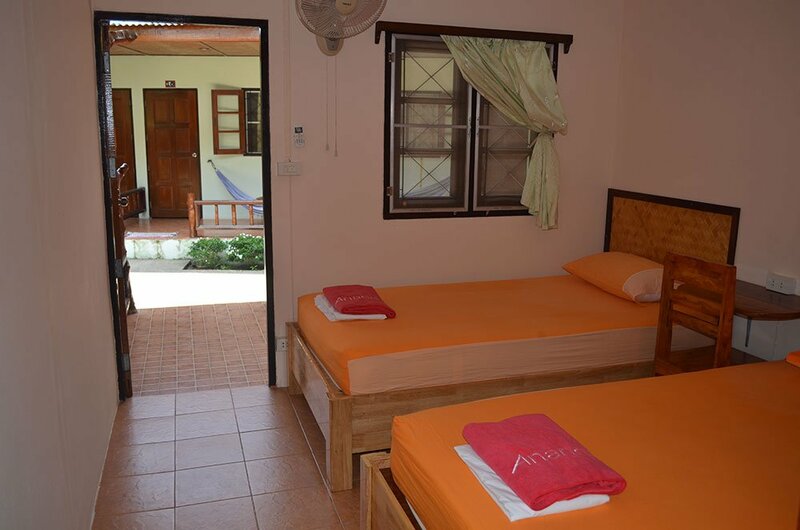 The rooms are spacious and clean! I stayed in a three person dorm room and was so surprised by the amount of space and cleanliness! 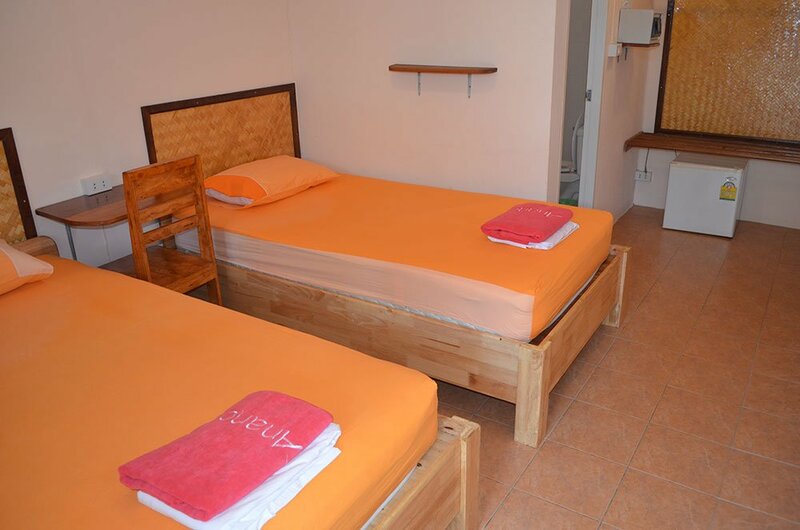 The towels are changed almost everyday and the sheets every third day. There are two massages included in the teacher training package and once I had a massage there, I couldn’t stop! I’m quite picky about massages, because they need to be precise and very strong. I found most other massage places to either be hard and hurtful, or just way too soft. I can’t recommend their massage more! The sunsets are breathtaking as well (and perfect for instagram opportunities)! If you’re looking for a challenging, practical, and down to earth teacher training experience, this is the place for you! 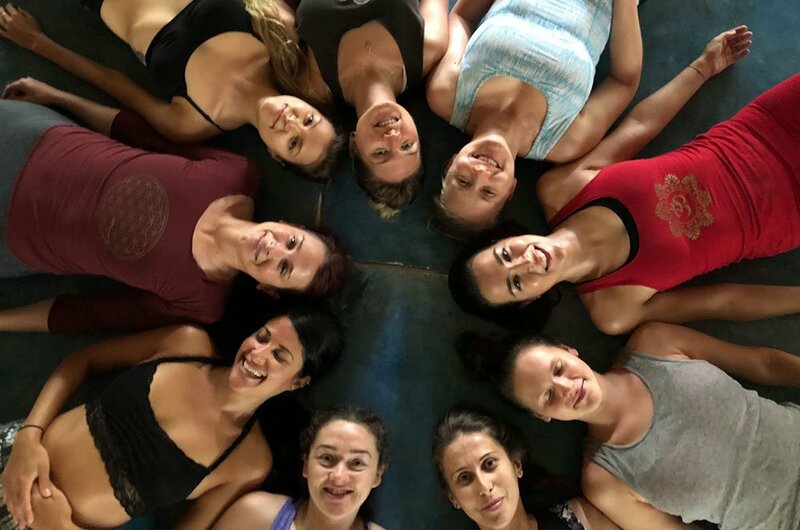 Whether your motivation is personal development or to become a Certified Yoga Teacher, Johnny Nasello’s Yoga TTC is worth the time, energy, and financial investment. 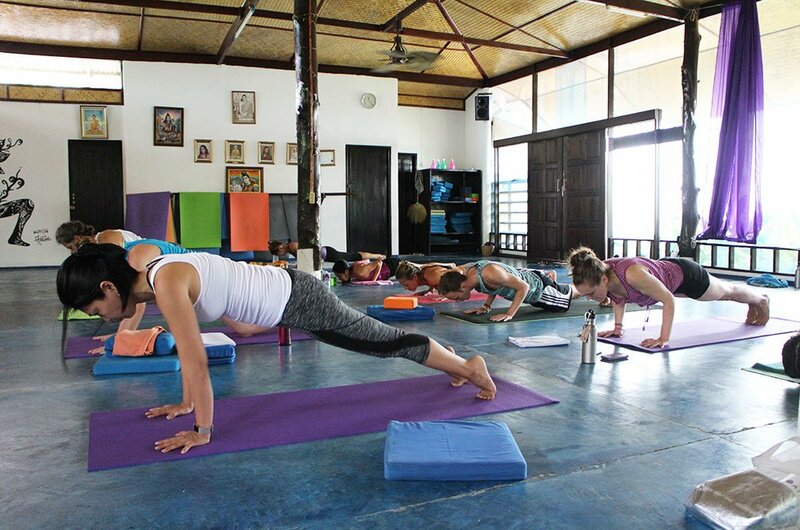 The program is designed around a general hatha yoga sequence stemming from Iyengar’s lineage, which is heavily focused on precise, correct alignment using props including blocks and straps. 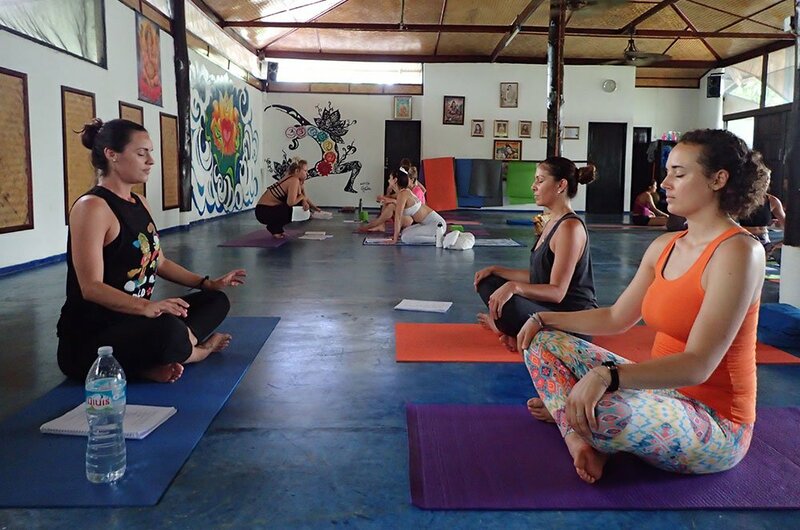 This makes the teacher training program accessible to both beginner, and students who have a dedicated personal yoga practice. Our group of 14 was an eclectic mix of mothers, a couple, young men, and women. 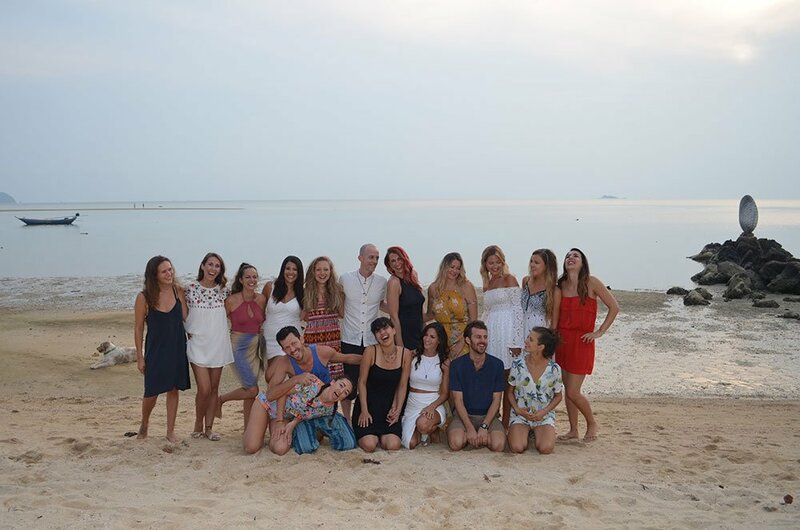 It was amazing to be apart of an international group of friends that progressively grew together as timid students to becoming confident yoga teachers. Our confidence came from hours of hands on practice practice-teaching, dozens of asana (posture) clinics that taught us how to get a student into correct shapes using simple verbal cues and adjustments. 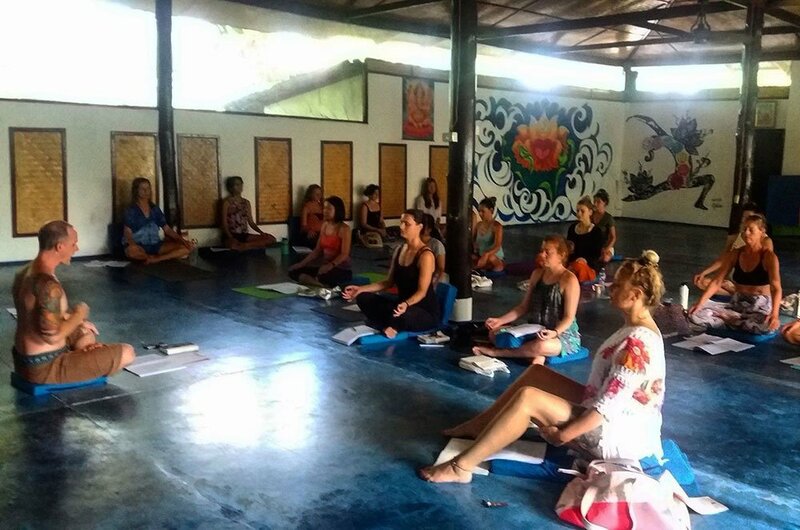 The clinics were very extensive and detailed giving you a strong foundation of knowledge to teach a class and/or enhance your personal practice. I can assure you, your perspective on yoga will drastically change. Not just in your physical practice on the mat, but on how you live your life, your expanded awareness, and human evolution. 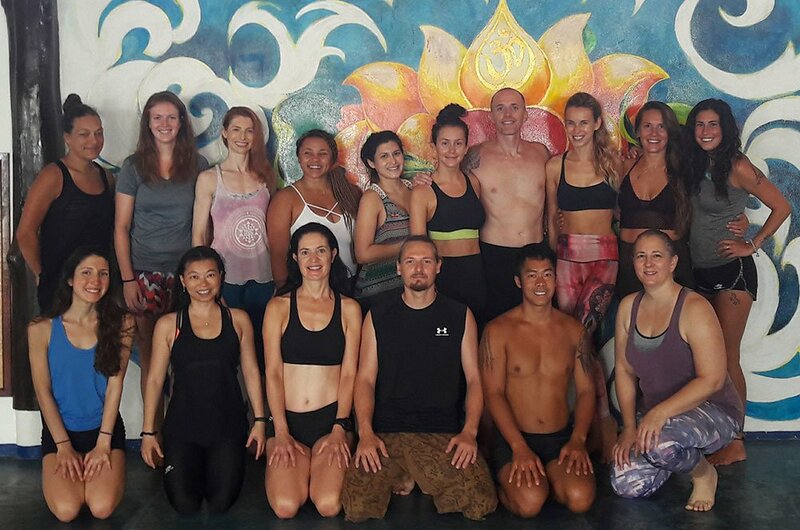 Thanks to the experienced, humble, caring and personable teachers, Johnny and his assistant Ginger; I completed the program feeling more grounded, focused, disciplined, with a higher standard for myself, and a deeper sense of integrity as a yogi. I look forward to meeting you one day when Johnny hosts a “Yoga Teacher Reunion” for all his past and future student teachers! I’ve learned so much thanks to Johnny, and will forever be grateful our paths crossed! I strongly recommend this place. 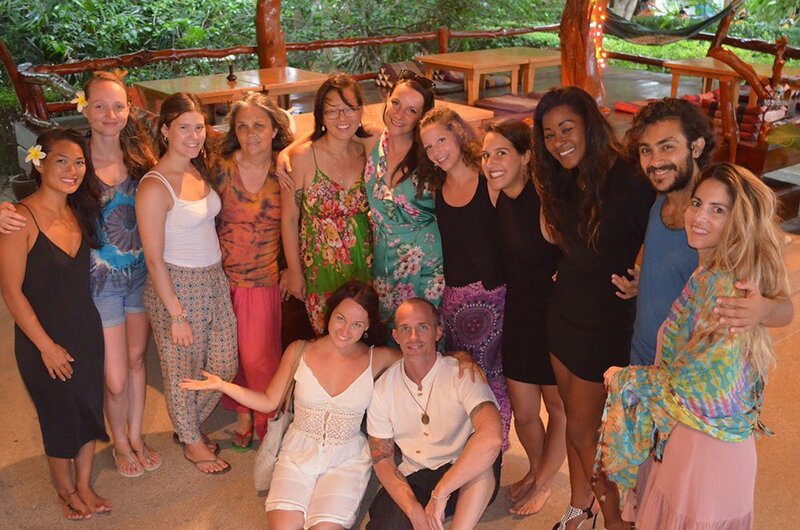 It is to me definitely the best place to do a Yoga retreat and Teacher Training. Johnny has a strong background of teaching. His alignment focused way of teaching clear, thorough, and mindful of security cues to protect the body from injury while deepening your practice. 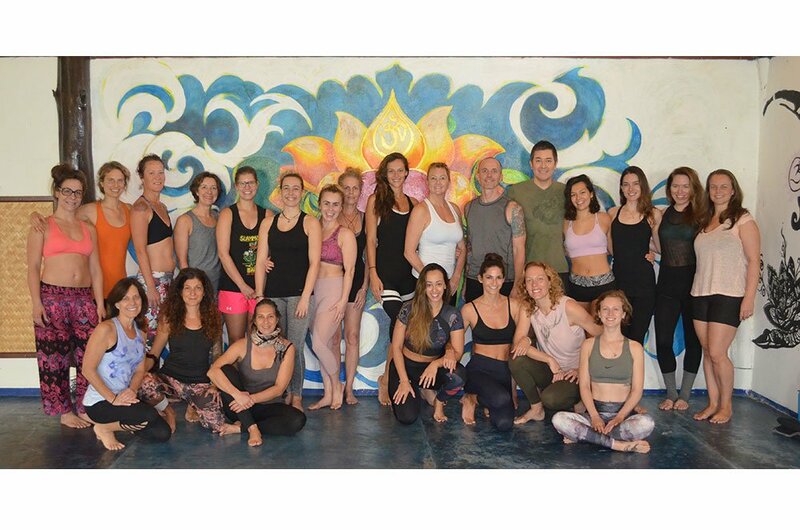 I gained so much awareness of the body and understanding of the functioning of even the tinier muscles involved by following his teaching, and I also learned a lot about life in general as Johnny has a true gift when it comes to draw parallels between the practice on your mat and Life. I definitely recommend the place as a resort, the staff is very friendly (special mention to the kitchen staff who were cooking for us very healthy food full of love), the room was simple but very clean, the sea-salt pool amazing! Thanks to the training, I gained so much more discipline, but I also made new friends that are like a new family to me now.